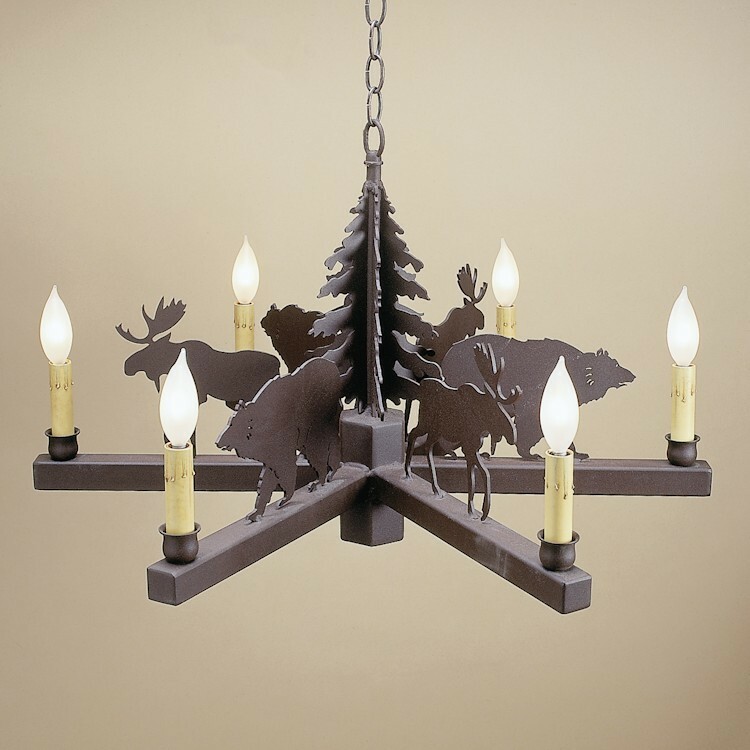 This rustic Bear & Moose Chandelier with 6 candle style lights features a dimensional tree in the center, 3 moose and 3 grizzly bears. Made in the USA. This rustic Bear & Moose Chandelier with 6 candle style lights features a dimensional tree in the center, 3 moose and 3 grizzly bears.